Wabash Day 2010 - Washington D.C. 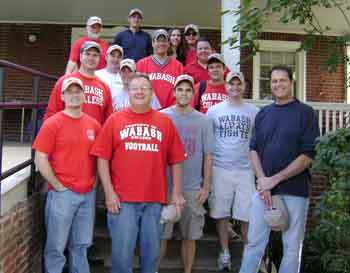 The National Capital Association of Wabash Men partnered with Seabury Resource's Age-in-Place Senior Housing Program for its 2010 Wabash Day project. 16 alumni and friends joined Volunteer Coordinator Tawana Moore on a beautiful Saturday morning to do some much needed yard work around the home of an elderly D.C. resident. The Age-in-Place program provides a variety of services to low-income senior citizens living in Washington D.C. that allow them to maintain an independent lifestyle into old age.